It might seem a ludicrous thing to say about a bar with more than 350 different whiskies, but there's something to be said for limiting choice. And options are limited at Whisky Den should you arrive here with a taste for anything other than whisky. There's a serviceable beer selection (not all that interesting if you're a fan of craft), a wine list that ticks red, white, sweet and sparkling boxes, and the possibility of gin and tonic or rum and Coke, but if you ignore the name on the sign you'll be wasting your time. If you're after whisky, however, this bar helpfully eliminates all the peripheral noise. Melbourne in 2018 is well served with specialist whisky bars. In the CBD alone Whisky & Alement, Eau di Vie, 1806 and Boilermaker House all wave the flag for Team Whisky with style and substance. Whisky Den is the laidback sibling of the family. It has a similar geek-level interest in the spirit but with a less fashion-conscious, almost wilfully unpretentious approach, exemplified by a soundtrack (played through tinny speakers) where Bob Marley, Warren Zevon and first-album Sunnyboys is about as current as it gets. The compact space has three separate areas – a front bar, a mezzanine (often used for classes and tastings) and a tight area out the back equipped with a banquette. The pint-sized dimensions, minimal signage and engaging service suggest a kind of clubhouse, one they're happy for you to join if you're cool with the absence of shakers, blenders and fruity garnishes. Primo position is the front bar with its green marble-tiled floor and timber bar top, fixed bar stools and doll-sized wall-mounted tables. The all-glass front eliminates the shadow of claustrophobia in the tight space, as do the shelves lined with incredible whisky. The wine, beer and cocktail stuff is dealt with on the first page of the laminated list. There are six cocktails, all built in the glass and all of the classic Manhattan, Whisky Sour, Old Fashioned and Sazerac variety. 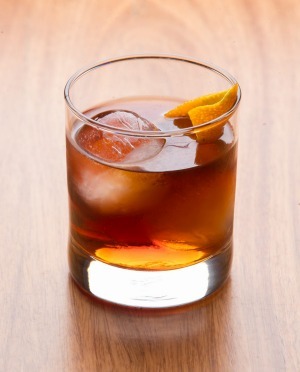 Glassware and ice are workmanlike but the booze is solid, with Monkey Shoulder doing the work with the Sour, and Old Forester Kentucky bourbon giving the Old Fashioned a sweetly authentic kick. The whisky section starts with Australian stuff (two pages! 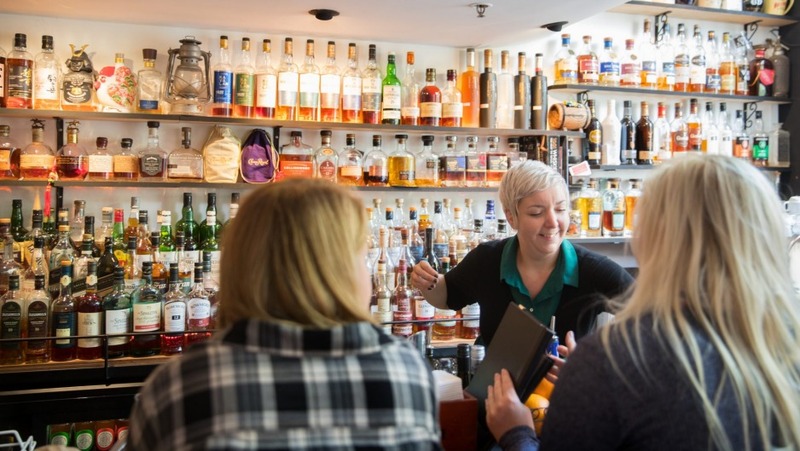 ), moves to Irish, Canadian, American and Japanese and then, after taking a slight detour to bottles from India, Taiwan and New Zealand, heads into nearly five pages of Scottish distilling art. Prices are as broad as the range, starting about $7 for a J&B blended scotch through to $148 for a 15-year-old Pappy Van Winkles Family Reserve from Kentucky. The bartenders' knowledge and enthusiasm for the product is out and proud and exists completely free of the snootiness that sometimes infects these specialist bars. There's a genuine desire here to get you drinking something you can afford that you've not tried before. It's endearing, refreshing and speaks to the heart of the kind of hospitality behind a successful bar. Whisky Den's snacks come pre-packaged or from the neighbouring ramen bar, decor and attitude are almost aggressively low-key, and they really know their whisky. If that sounds like you, it probably is. Go-to bar snack Wasabi peas, jerky, pretzels and soy chips – knock yourself out.